In this Very Short Introduction Andrew Davies delves into the world of projects. It may sound like a dry subject, but the history of projects is nothing short of fascinating – and a very long history it is too. By definition, a project is any sort of collaborative mission planned to achieve a particular aim, a temporary measure with a limited lifespan. Throughout history mankind has used projects to reform and transform the natural world, creating innovative spaces for people to work, live and play. Throughout the course of this very short introduction Davies references some of the greatest projects of all time, including examples such as the Erie Canal and the Apollo Moon landing, to highlight how different projects are managed and organised to cope with the changing conditions and immense uncertainties unveiled within any form of breakthrough innovation. Moving forward, Davies presents his own ideas for how future projects can be organised to best address the challenges of modern post-industrial societies. If you are considering a career in project management or are already involved in one or more projects and want to know how to improve the system then let this book become your bible. Projects: A Very Short Introduction by Andrew Davies offers a veritable goldmine of insights, anecdotes and analysis of the very basics of project management, showing how it is done, and advising on how it can be done better. This book is so incredibly sweet and gentle, definitely one for a lazy afternoon where you just want to curl up with a book and wile away the hours. In The House at the End of Hope Street Van Praag vicariously lives out her dream of providing a safe refuge for women who have lost hope and need a place to recover and find their direction in life. Alba Ashby, the youngest PhD student at Cambridge University has hit an enormous bump in her journey towards academic success. Alone and beside herself she begins to wander the streets of Cambridge, her mind constantly wandering back to ‘the worst event’ of her life. As she walks she attempts to shake away her memories and search for solace in the dark streets of the university city. One night something calls to her on the wind and she finds herself stood before a mysterious house on Hope Street, unconsciously ringing the doorbell. There the beautiful Peggy Abbot welcomes her with open arms and a steaming cup of hot chocolate. Alba is invited to remain at Hope Street for no more than 99 days: ‘long enough to help you turn your life around and short enough that you can’t put it off forever’. As well as having the luxury of no rent or bills, and a room of her own, Alba is promised that she will not have to work through her problems alone. Alba is an unusual girl, gifted with a second sight. She has the ability to see those who are no longer living as well as things that others cannot see – sounds, emotions, feelings and scents trail through the air before her very eyes. Birds sing in blue and weave ribbons through the sky, and the words of those she speaks with emerge before her eyes, written as if by an imaginary typewriter, revealing the speakers true colours. When she steps through the door of 11 Hope Street she is perhaps not as surprised as the reader by the magical world enclosed within, and not in the least bit startled by the ghost of girl sat smiling in the kitchen sink. 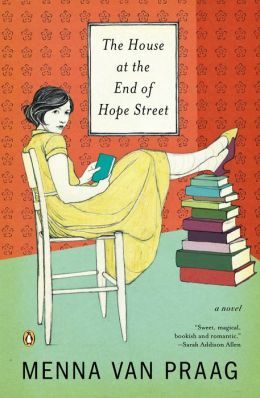 In The House at the End of Hope Street Van Praag introduces us to an enchanting, magical world. Over the years the house has been home to great women throughout history, black and white images of Sylvia Plath and Dorothy Parker come to life to offer words of wisdom and advice to Alba, the walls rattle and breathe and Alba’s room transforms, filling with book cases, and fluttering copies of hundred of novels. 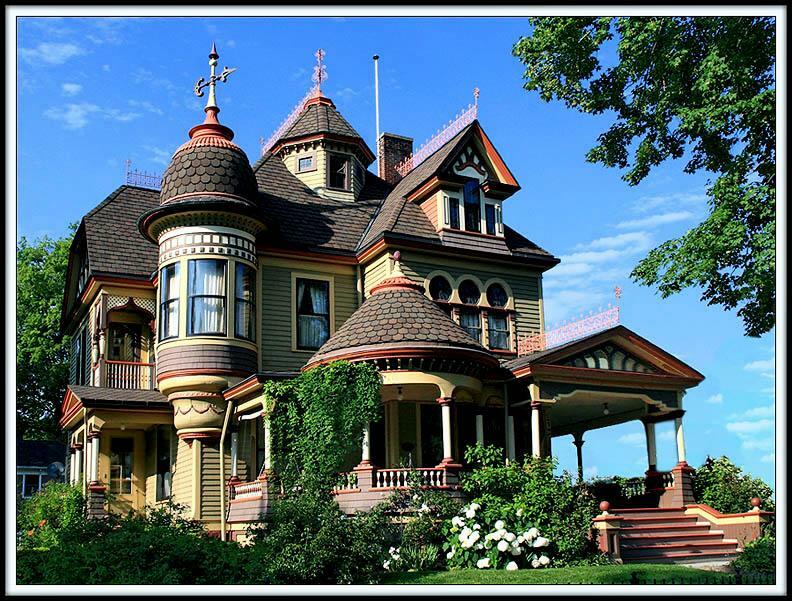 The house is alive, and drops hints and ideas into the minds of the residents, placing notes on their dressers, providing them with gifts to nurture their talents, and denying them those which they must seek elsewhere. Bookish Alba spends her first days curled up in the cocoon of her bedroom, losing herself in the books provided for her by the house, before slowly embarking on her own journey. In her time at Hope Street Alba goes through even more heartbreak and devastation, as she loses the person closest to her and discovers the truth behind a long kept family secret. These events help guide her on the road towards self-fulfilment, as though every cloud really does have a silver lining. For the first time in her life she is able to make friends, rather than just acquaintances, and she discovers that people living right beneath her nose will soon come to mean the world to her. There are twists in the story, some that I saw coming, and some that I didn’t, but all of which are delightful and sure go bring a smile to your face. Do not expect to find out exactly what Alba is running from right away, it takes some time, Van Praag teases the secret out deliciously, keeping you reading on long after you should have put the book down and started on supper. As a Cambridge girl myself, I really enjoyed reading about the Cambridge Alba inhabits. 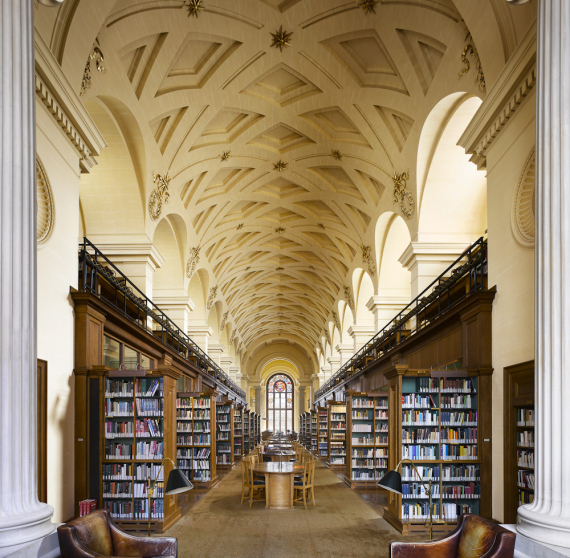 I loved to imagine her slipping on the cobbles outside Trinity College, and running through the lanes, darting into a little bookshop to shelter from the rain, and delighted at her description of the Cambridge University Library as ‘her cathedral’. Bookish types are sure to enjoy this book, and I would recommend it to anyone who enjoys gentle fantasy and magical realism. I would not say the book has changed my life and made it onto my favourites list, but I definitely enjoyed it, and was awarded with that warm feeling of satisfaction that comes from finishing a truly pleasant book.